Photos are lovely as usual...what is the shelf life for this sweet? seeing the picture of halwa i think it will be over in a day..
Gorgeous Photgraphs...you've captured the Essence of the mighty Jackfruit. this is truly scrumptious - the pics and the recipe. am waiting for the other two. Well done,Suganya. And there are 2 more to come! I can't wait. You are so damn lucky to have got hold of a fresh Jack fruit. I looked for them in our international market here and just got the canned ones. I have no clue what I will do with them. Just enjoying them as is for now. Need to come up with something soon ! 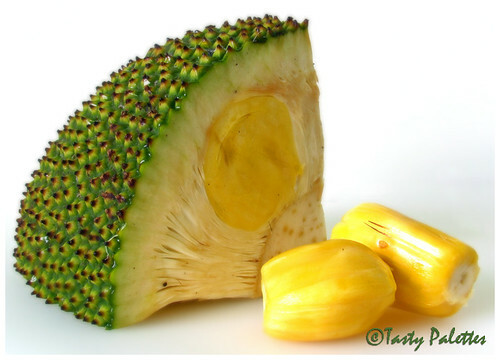 Really wonderful jackfruit pics. Your recipe looks yummy and tempting. thanks for sharing such a nice recipe and pics too. Usha, I don't know about the shelf life. It got over the very next day. Should probably be around 2-3 days, bcoz it is fruit based. Very different recipe.I never tasted jackfruit halwa!! !And very nice pic's Suganya. Nice pictures Sugi. My mouth is watering already. Will try this when I'm in India. Looks so yummy. Even I haven't tasted JF halwa before Viji. But this was a super hit in my house. Coffee, I know JF's scent is repulsive to some. But the halwa was very mild. wonderfull photos suganya!halwa with JF looks very inviting. your pics are ublvable!Wow! Are you a pro? hey awesome looking pics. simply fabulous !! the recipe looks out of this world. I wish I could get fresh jackfruit. Suganya, in a world - BEAUTIFUL. Everything is - the post, the pics, everything. 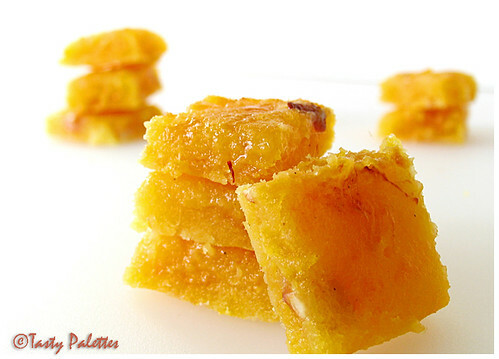 The jackfruit and the halwa pictures are stunning Suganya... halwa looks perfect with a professional touch. I am going to have to try this recipe after all I am in love with JF too! gorgeous photos. I am a college student working with farmers I met in India last summer to get one of their jackfruit products into stores here in the U.S. 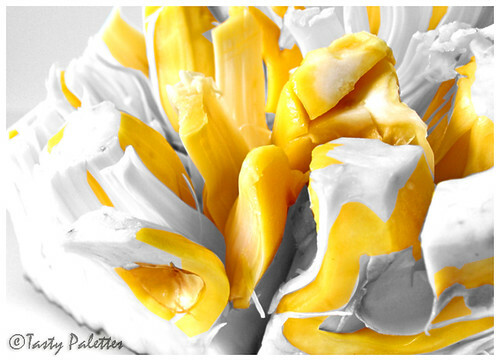 Your photo of jackfruit bulbs with a quarter of a jackfruit is gorgeous. Is there any way that I could use it in packaging? I just subscribed to your blog, so I believe you have my email address, starting with aeryu. Hope to hear from you soon!